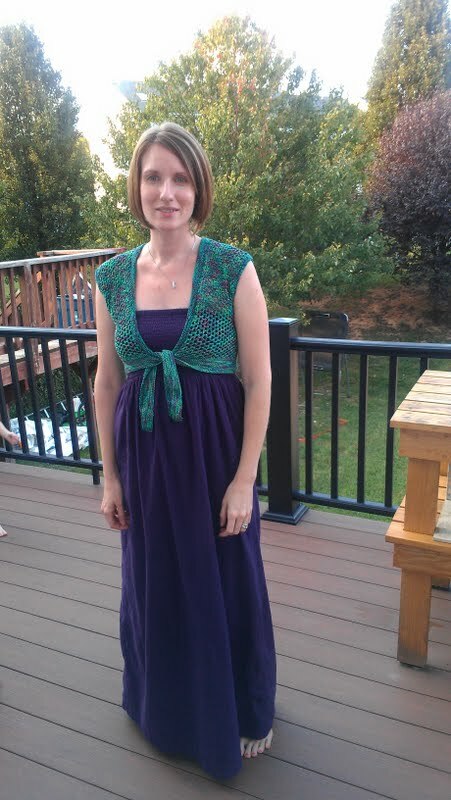 I found this dress at Old Navy back in July. It’s very comfortable and I’ve worn it several times, but not as much as I would have liked to. The fully exposed shoulders don’t make for appropriate office attaire. So when I came accross this pattern , I knew I needed one to go with the dress. I finished it Wednesday and sported it at work last week. Maybe I can get a couple wears in before the weather turns cool! You are currently browsing the I’m In Stitches category at In The Off Hours.